Whether you've been there or not, Italy needs no introduction. Everyone knows that Italy is a place who's heart and soul is food, and is the home of some of the oldest, richest history on this earth. Lucky for me I got to experience this first hand on my very first trip to Italy, where we spent our honeymoon. We are already planning to go back next year, we have so much more to eat explore. I will let the pictures do the talking, but do not forget to see my lists of favorites from this leg of the trip at the bottom of this post. My favorite day in Rome was when Michael surprised me by setting up a food tour with Rome food expert and food blogger Elizabeth Minchilli. 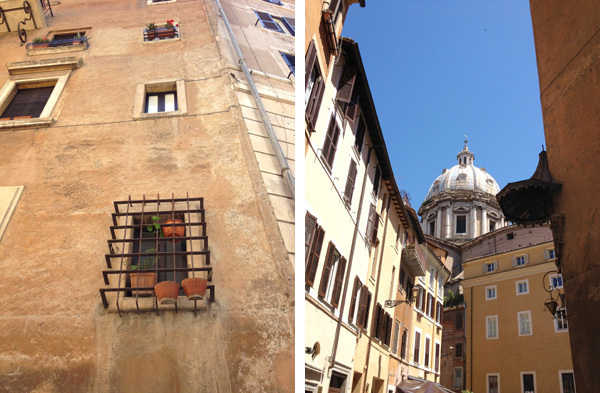 For food lovers traveling to Rome, her tour is not to be missed. We spent the day eating authentic Roman treats that we probably would not have discovered on our own. It was like having an old friend show us all of their favorite local spots. 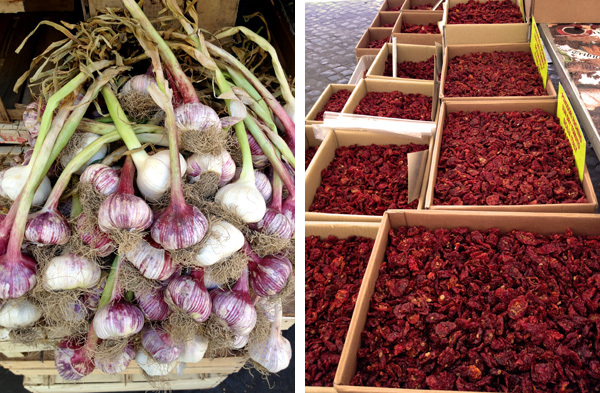 Her blog, focused on food and Italy, is also not to be missed. Especially if you're planning a trip to Rome or just want to daydream about being there. My favorite meal in Rome was at Perilli (which was recommended by Elizabeth). We were probably the only non-locals in the restaurant, and we liked it that way. Their food is simple, straightforward, and by far the best tasting classic Roman dishes you will find in Rome. We were only in Capri two short nights and it rained the whole time so we did not do much exploring outside of our hotel. Luckily our hotel, The Capri Palace, was so wonderful there was no need for us to ever leave. The food at their restaurant, l'Olivo, which boasts two Michelin stars, was some of the best and definitely the most creative of the whole trip. We ate there both nights, and both nights the food and service blew us away. 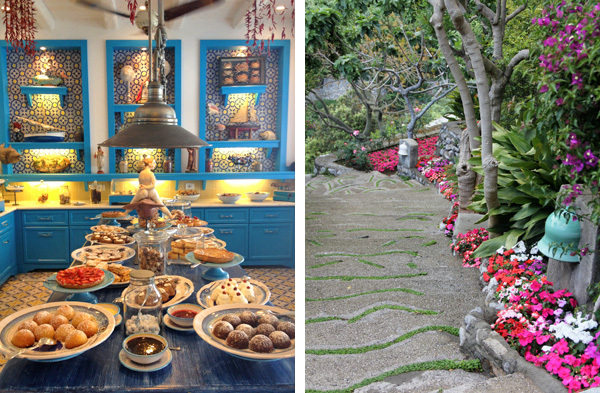 The best thing that we stumbled upon in Capri was a dessert room that was located at the restaurant at our hotel's beach club, Il Riccio (see the picture above on the left). An entire room dedicated to dessert. Just dessert. Amazing. Pure heaven. We spent most of our trip in Postiano, and it was spectacular. Our favorite restaurant in Positano was a place called Max. It was so good we went back for a second round because we had to have their homemade tagliatelli with cherry tomatoes just one more time. It was one of the best pasta dishes we had while we were in Italy. 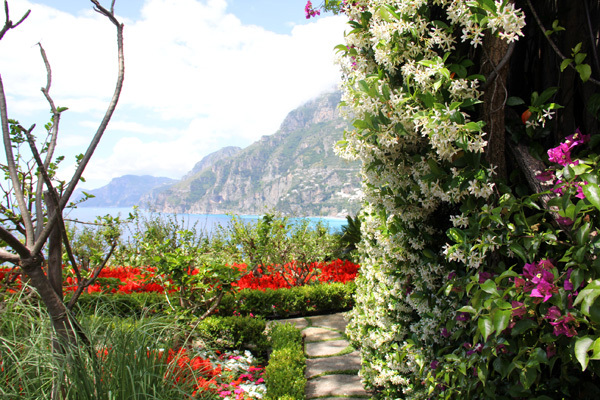 Michael and I both agree that our hotel there, Il San Pietro di Positano, was one of the most beautiful and special hotels we have ever stayed. By far. The views, the rooms, the service, the food, the cocktails, the atmosphere ... the definition of elegance. Since our trip, there has not been a day that goes by that I do not daydream about the great time and the great food we had. We are counting down the days until we can return.